The Tamerica TW-3100 Manual Wire Punch and Bind Machine saves time and money. 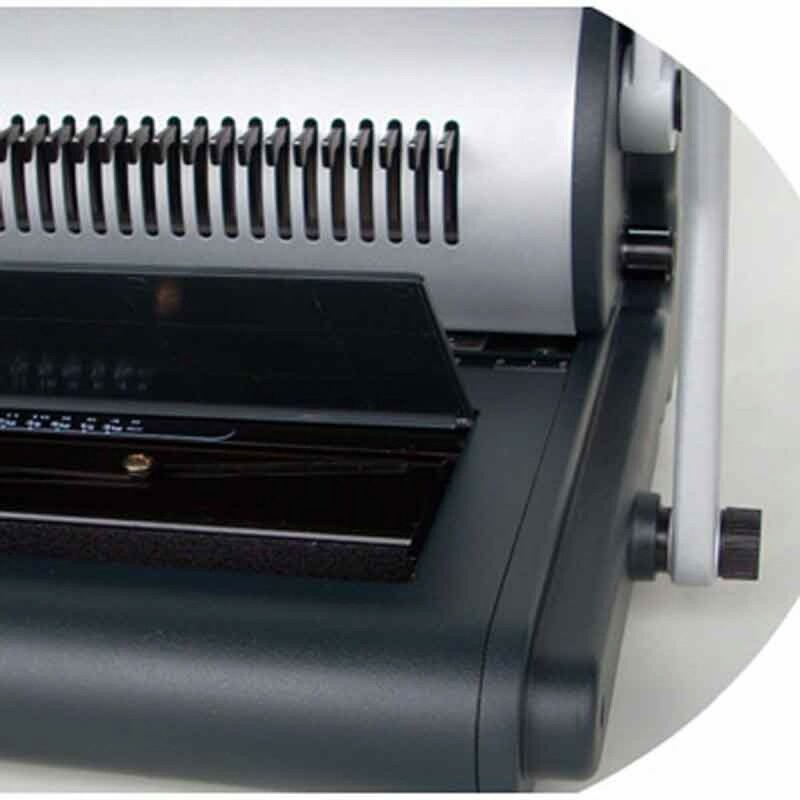 The new Tamerica TW-3100 3:1 is more user friendly than ever before with pitch twin loop wire binding. 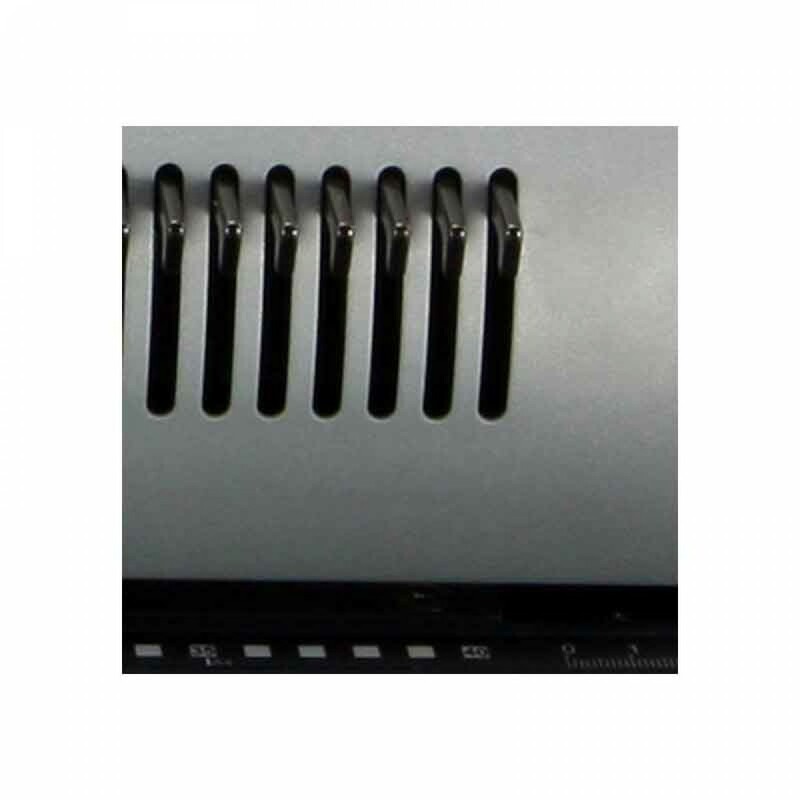 The built in wire holder and concealed wire closer near the front of the machine are simple to use. With 2 handles you are assured to get a precise close even over time this also protects the punching dies. 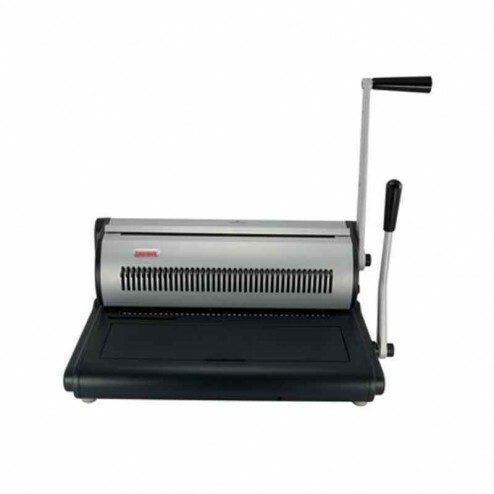 The TW3100 functionality of punching and closing legal sized documents with twin loop wire makes it well worth the price. Max. punching / binding length: 14"
Binding Capacity: 3/16" - 1-1/14"
Dimensions:19" x 14" x 8"